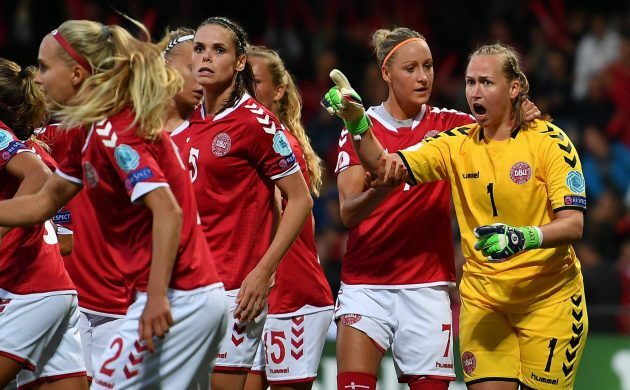 Denmark will face Germany in the quarter-finals of the 2017 Women’s European Championship on Saturday July 29. Two 1-0 wins – against Belgium and Norway on Monday night – sealed their progress despite an equally narrow 0-1 loss to the host country, the Netherlands. However, tournament favourites Germany will provide tougher opposition. Currently ranked the seventh most likely team to win with the bookmakers, the Danes are 16/1 to lift the trophy. Germany, in contrast, are 9/4. FC Copenhagen lost 1-0 away at Macedonian champions FK Vardar in the first leg of their Champions League third qualifying round clash on Tuesday. The return leg is at Parken on Wednesday August 2. Should they prevail, the Lions will be one round away from the CL group stage, with the decisive leg on either August 22 or 23. Now ranked number six in the world, Caroline Wozniacki has had a great year, but she has still not won a tournament despite making three finals. All that might change at the ongoing Swedish Open, the scene of her first WTA title back in 2008. Seeded number one, she was made to sweat somewhat in the opening round, eventually beating France’s Pauline Parmentier in three sets. Denmark made the final of the inaugural edition of the Star Sixes World Cup legends tournament on Sunday after upsetting Brazil in the semi-finals – a team boasting Rivaldo, Roberto Carlos and Juninho. Denmark’s line-up was not so glamorous – with the likes of Stig Tøfting, Martin Jørgensen and Daniel Jensen on board – but it was younger and they dispatched the Samba Boys 4-2. However, France’s line-up of Robert Pirès, William Gallas, Marcel Desailly and Youri Djorkaeff proved too much in the final, as Les Bleus eased home 2-1 to lift the trophy in London. Denmark’s Chris Sørensen was voted Star of the Tournament. Thomas Sørensen, the goalkeeper who succeeded Peter Schmeichel in the Danish national team, has finally retired at the age of 41 after a career spanning 24 years in which he played 101 times for Denmark as well as English Premier League sides Aston Villa, Sunderland and Stoke City. Sørensen ended his career at Australian top flight team Melbourne City, and it is believed he will continue to live there to focus on his work for charity. In related news, Johan Absalonsen, 31, a left winger capped in two friendlies for Denmark in 2009, has left Superliga club SonderjyskE to join Aussie team Adelaide United. The Danes might not have made the podium at last month’s Le Mans, but their countrymen continue to demonstrate they are one of the premier nations when it comes to supporting the annual endurance race. Approximately a seventh of the quarter of a million fans camped within the 13.7km Circuit de la Sarthe were Danish – the equivalent of the whole of Rødovre turning up. This year six Danes drove in the race – Kevin’s dad Jan Magnussen (19th), Nicki Thiim and Marco Sorensen (both 25th), Christina Nielsen (44th), and Michael Christensen and David H Hansson (both DNF) – while nine-time winner Tom Kristensen was a prominent face in the paddock. Mobil 1 The Grid (see below) were there to capture the indomitable spirit of the Danes. On 10 October 2009, Denmark beat Sweden 1-0 at Parken to seal their place at the 2010 World Cup, but three of its fans missed the game as they were in police custody at the time after being arrested as a preventive measure. Today, almost eight years later, the fans are still pursuing a case that the Danish police acted “unlawfully” by detaining them for more that six hours – the limit for preventive arrests. During that time their case has been heard by several courts, and last week it made it to the European Court of Human Rights, only to be passed on by its chamber to its grand chamber. No date has been set for the case’s next hearing. Sweden beat Denmark to seal their passage to the world junior championship in American football in Gentofte on July 15. The Swedes swung the game in their favour as the heavens opened, overturning a slim second quarter lead for the Danes to win 26-14.